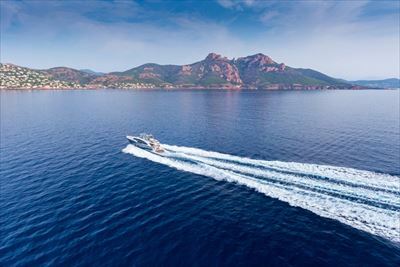 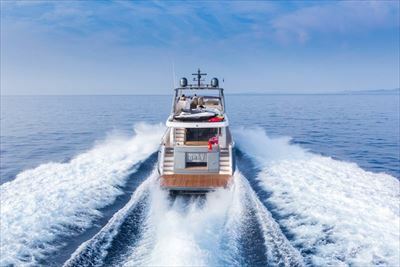 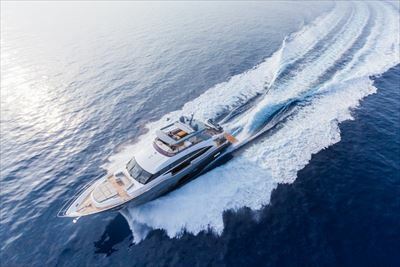 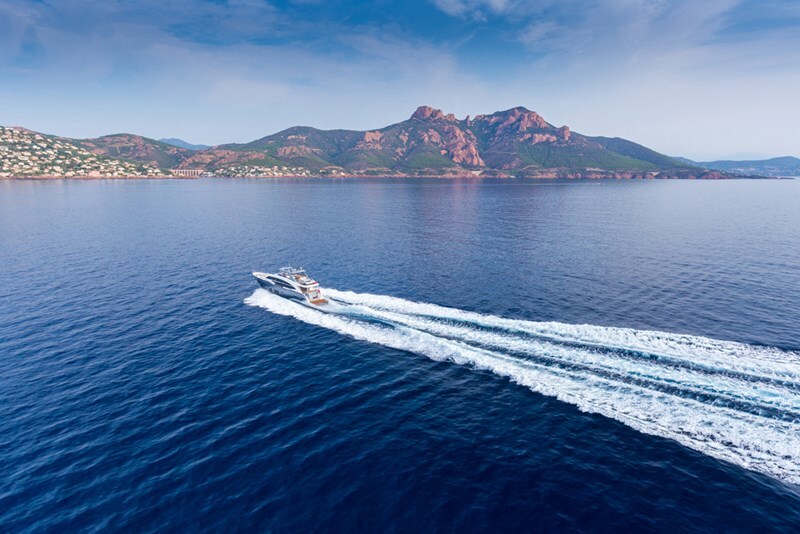 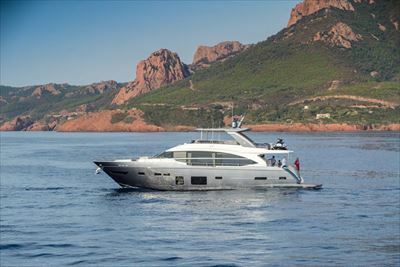 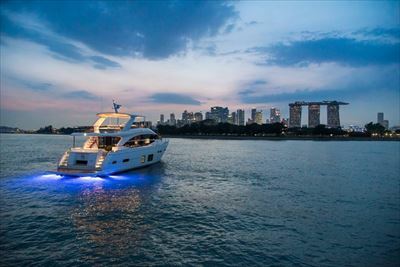 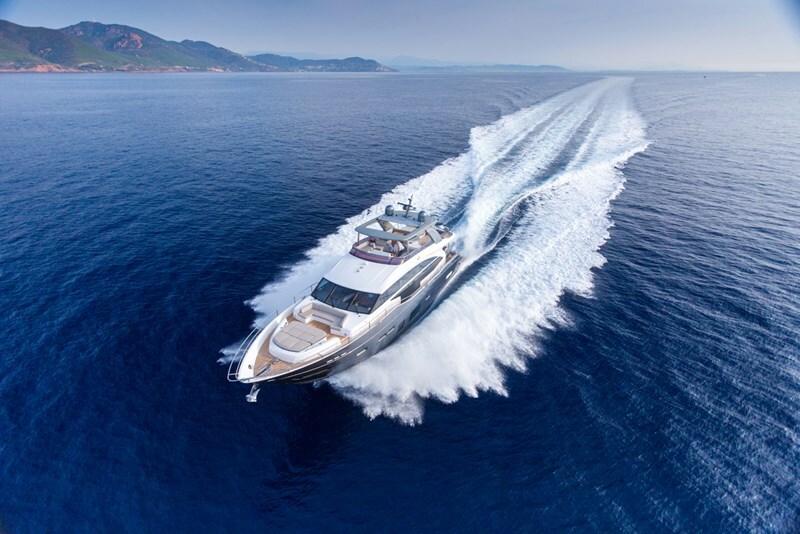 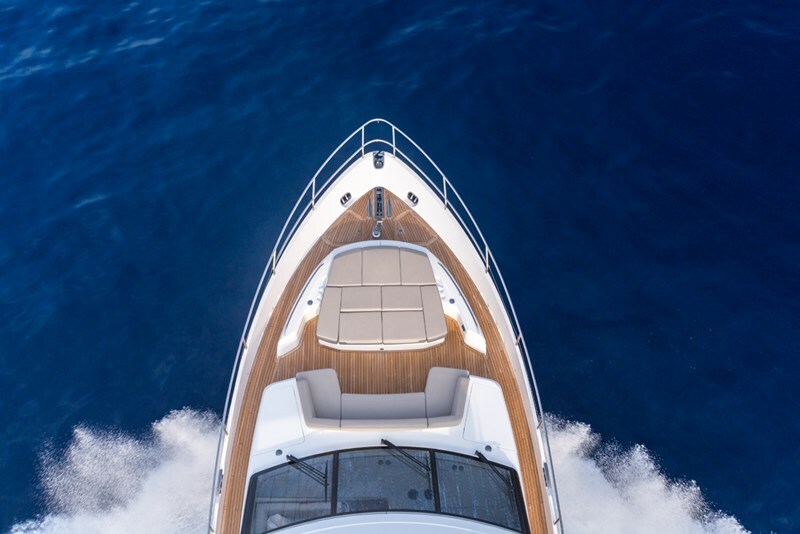 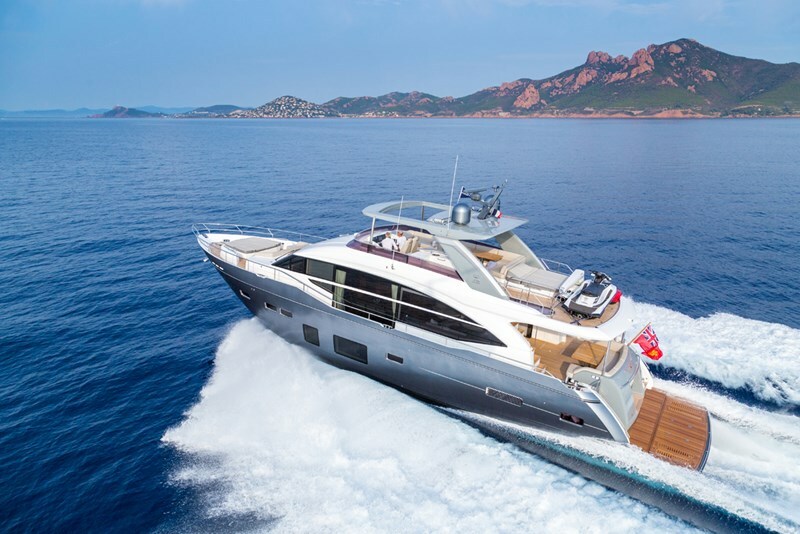 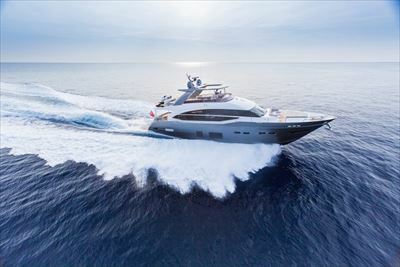 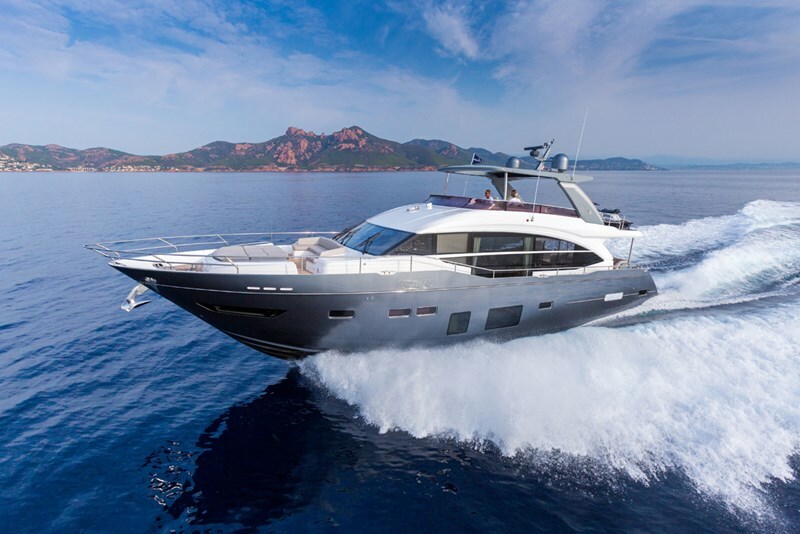 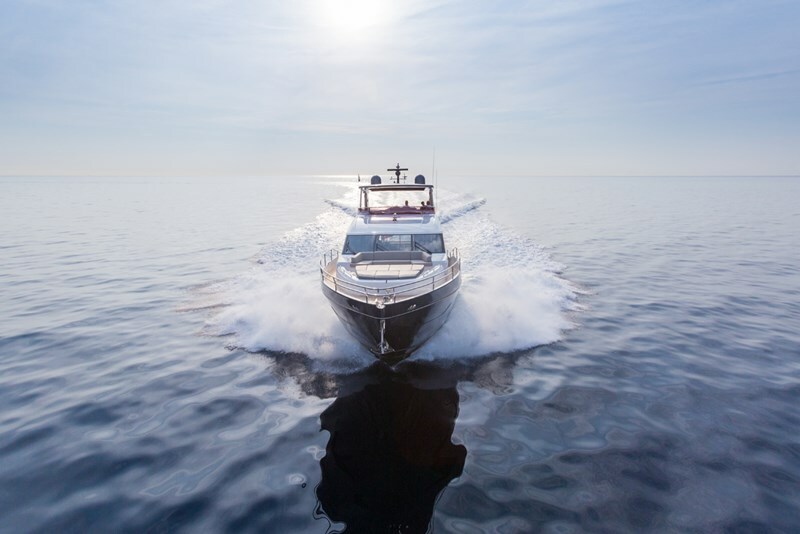 The ingenious design of the 75 Motor Yacht offers efficient, agile cruising, enabling you to plane at lower speeds. 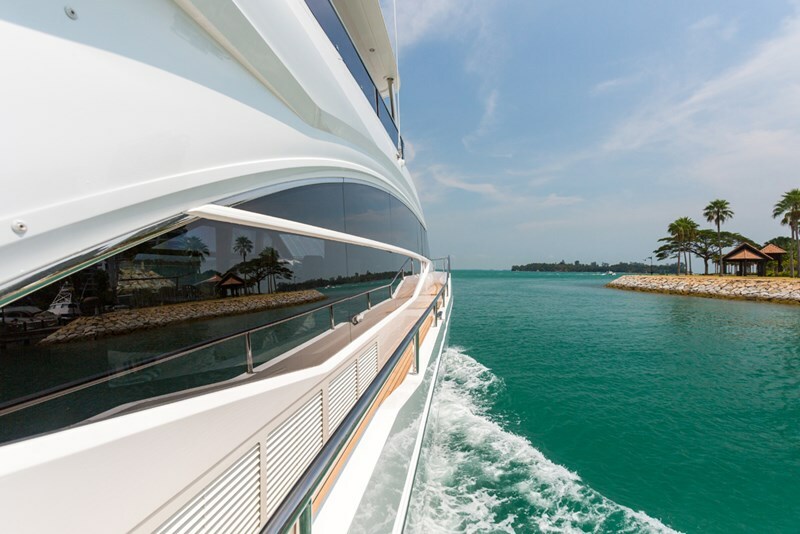 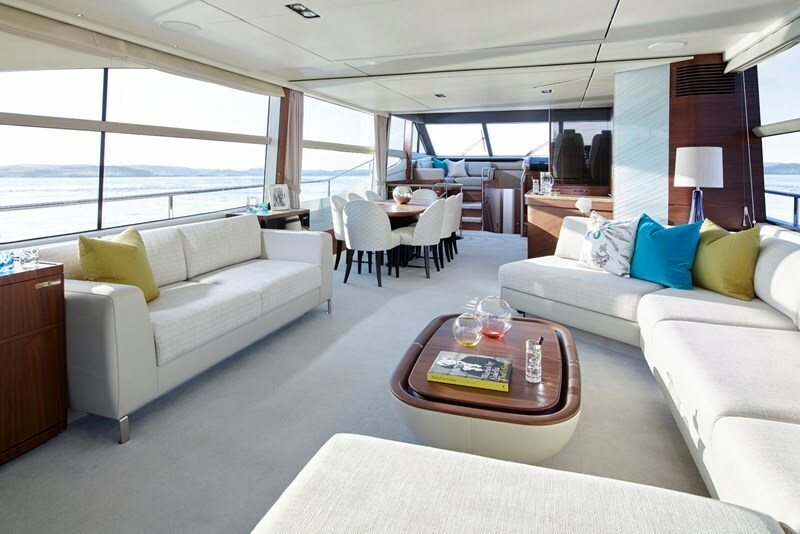 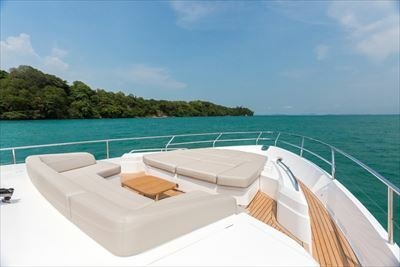 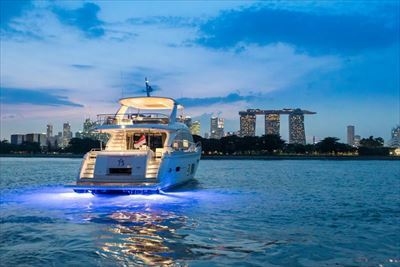 Her deck layout provides you with a variety of options to entertain or relax including a walkthrough foredeck with U-shaped seating and sunbathing area. 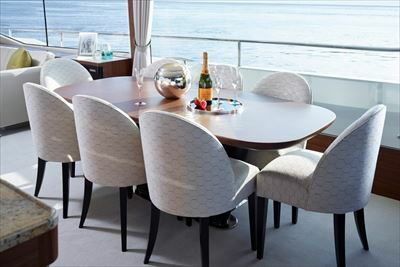 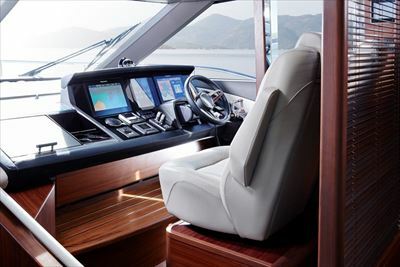 She is also sociable whilst underway with seating either side of the upper helm. 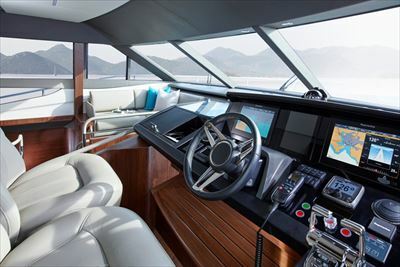 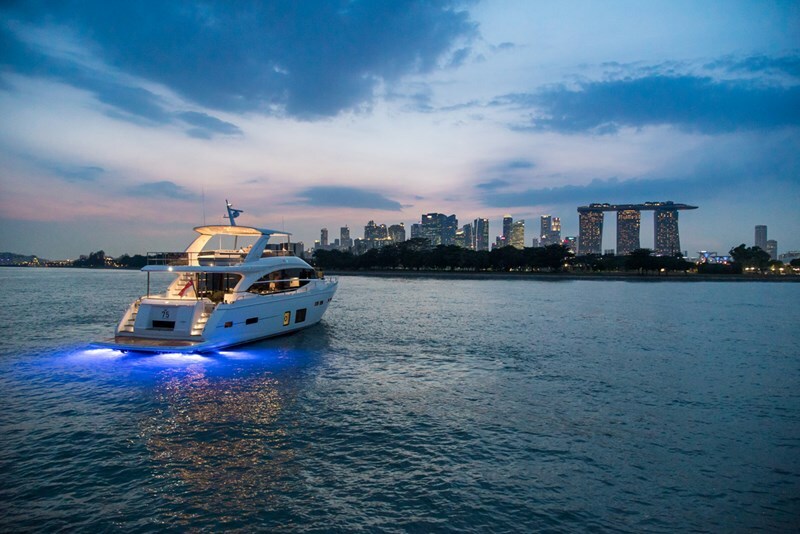 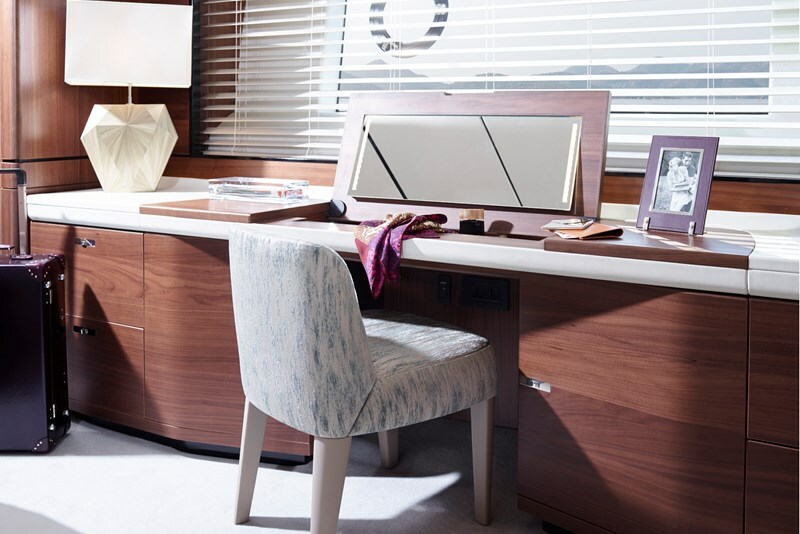 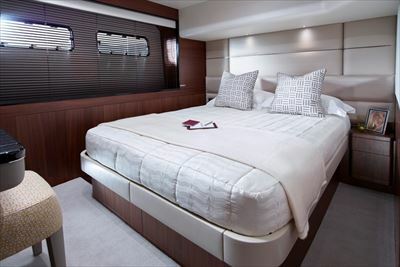 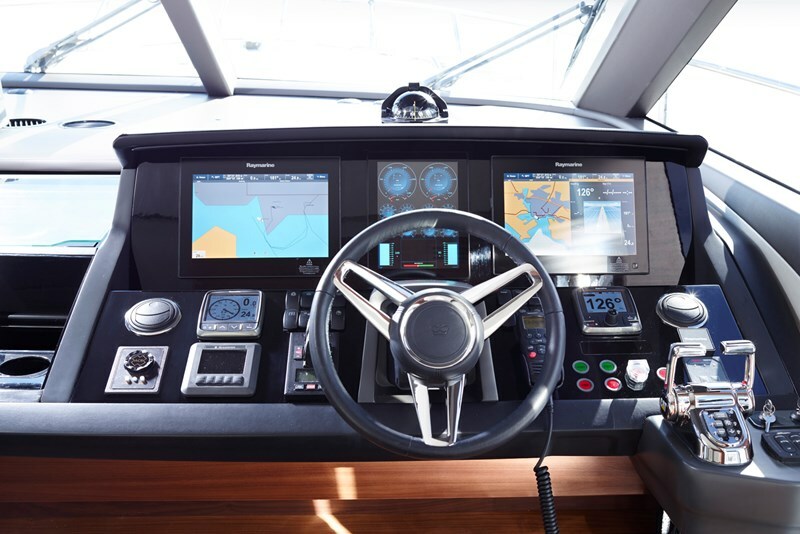 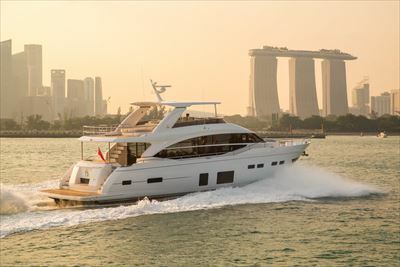 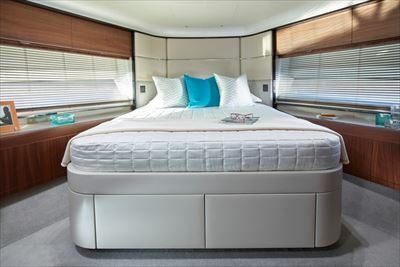 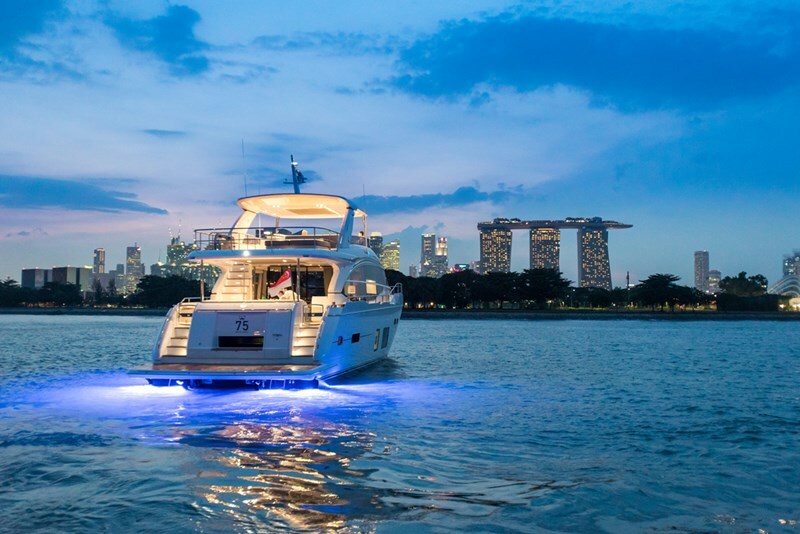 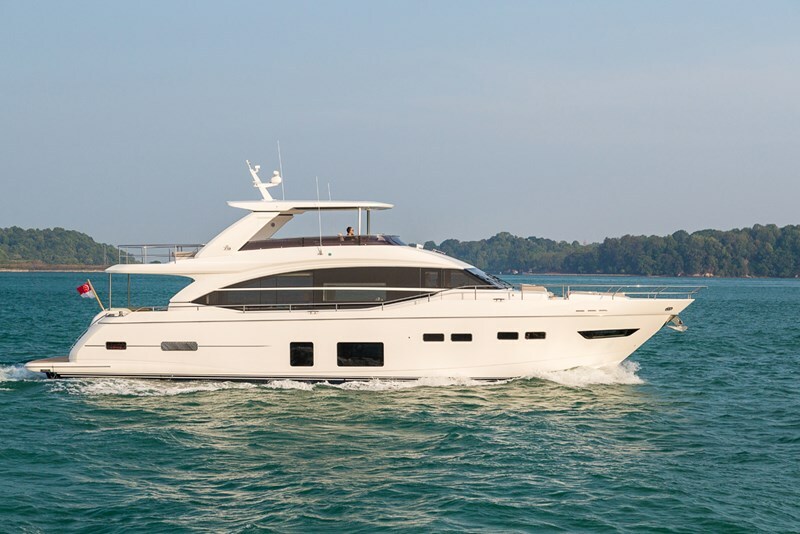 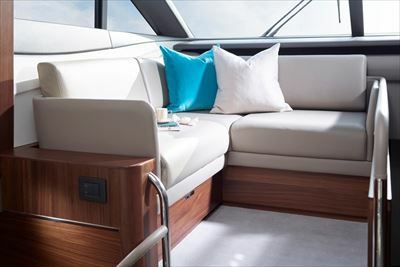 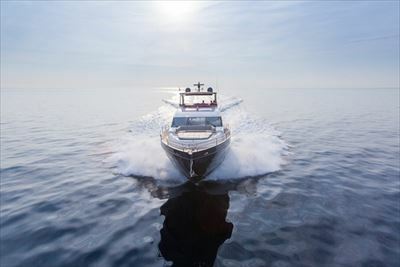 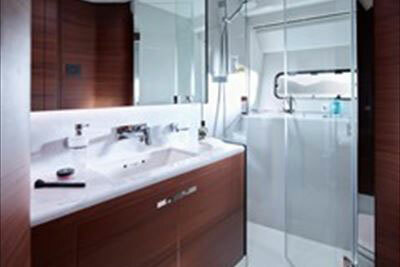 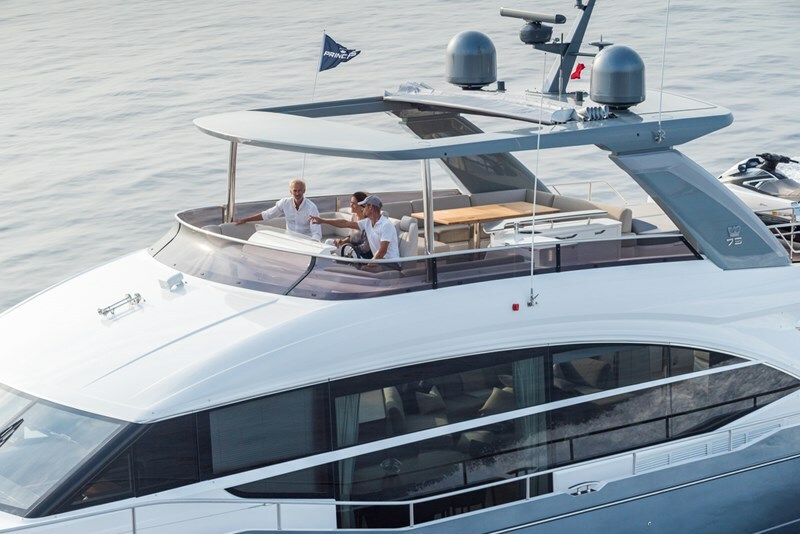 The flybridge has space aft for free standing furniture or to fit a crane and store a tender. Her elegant exterior conceals a voluminous interior. 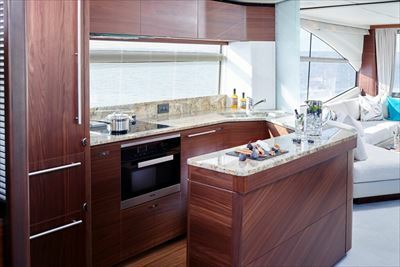 Natural light flows in to her main deck through extended window lines and a unique full-height window on the port side to make the free standing dining area a spectacular place to entertain. 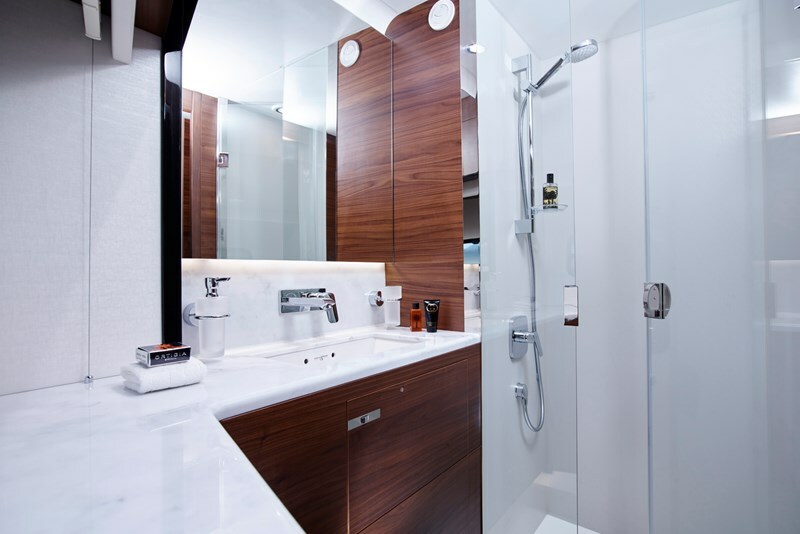 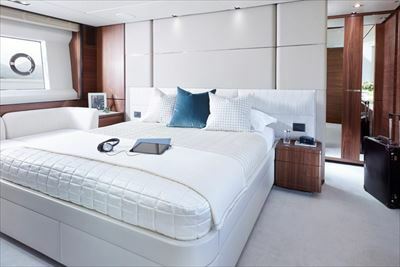 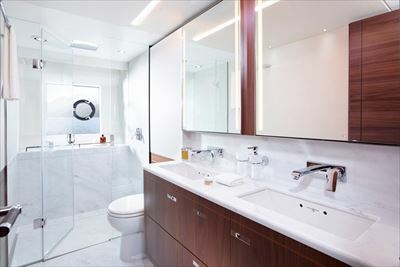 Forward on the lower deck, all three guest cabins are en suite whilst a dedicated staircase leads to the owner’s stateroom amidships via a private lobby area.